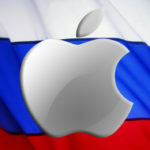 Following the release of iPhone 5, iPad 4 and the iPad mini, Chitika Insights has examined how Apple’s latest products have shifted the use of iOS and Android by analysing the overall web traffic distribution between the two platforms. On the other hand, a variety of Android tablets and smartphones have also been introduced in 2012 including the Droid RAZR M, Samsung Galaxy S III and Kindle Fire HD. 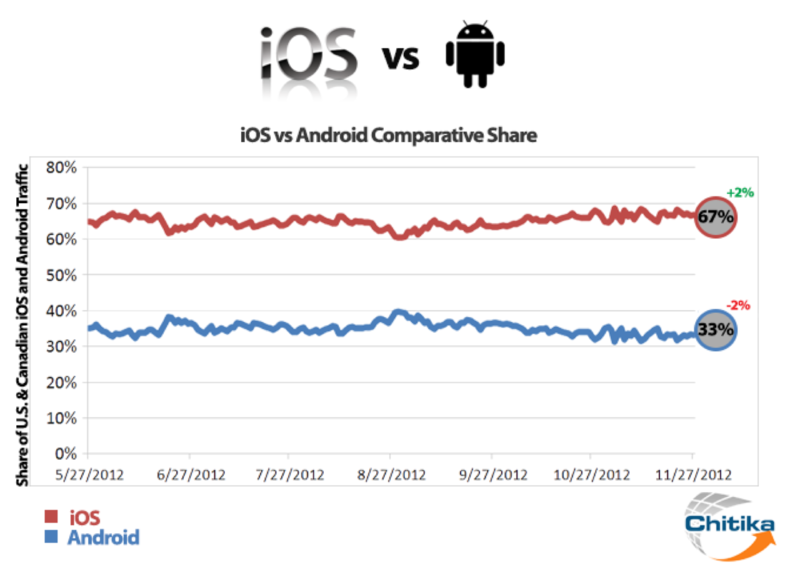 Despite all the new Android and iOS devices, little has changed in the overall web traffic share, notes the report. iOS’s share has hovered around 65%, while Android largely has stayed around 35%, with Apple regaining some share with the release of the iPhone 5 in the September. Chitika Insights’ analysis is based on billions of ad impressions, spanning a 6 month time frame from May 27th, 2012 to November 27th, 2012. The data also suggests that majority of users don’t switch between different OS when they upgrade their device.